The Concession Residences has debuted a new kind of luxury home unique to the Gulf Coast. Designed by Don Evans and influenced by international design giant Tui Pranich, of Tui Pranich & Associates, this residence was imagined to highlight dramatic Florida sunsets and expansive Old Florida wetland views. Tui has worked with Hollywood stars, royalty, and finance gurus. This three story 7,491 sqft residence, nearly 10,000 under roof, features two outdoor kitchens, one facing the pool and preserve, which is offset by two fire pits fit for Mount Olympus. From its gourmet kitchen, outfitted with Wolf and Subzero, to its California contemporary design, this residence meets the demands of the most discerning clients. This custom built estate, located in a premier luxury golf community featured in multiple international golf magazines, offers 5 garages, 6 bedrooms and 6.5 bathrooms, loft, office, cabana, and separate guest house are an entertainer 8217;s dream. Nestled against antique grandfather oaks, this estate will transport you to another world as you enjoy sunset from multiple verandas and balconies. Prestigious full golf membership included in purchase price. 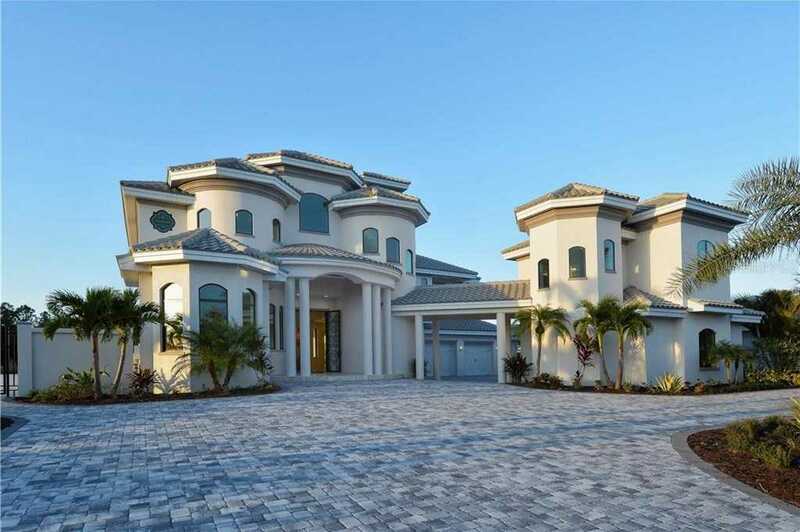 Please, send me more information on this property: MLS# A4206130 – $4,200,000 – 19307 Ganton Ave, Bradenton, FL 34202.